How often do we ask ourselves the question of what it means to live wholeheartedly? 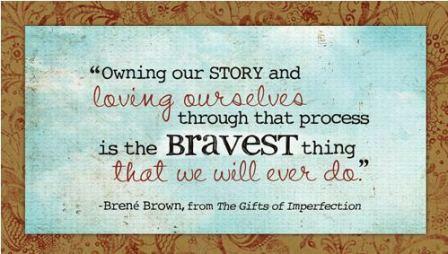 It starts with having enough self-compassion to explore our stories about shame and vulnerability without judgement. Brené says that shame can not survive being spoken, so after we have explored our fears and insecurities, it is important to find “your people” – those who have earned the right to hear your story. They are the individuals you know will just listen without judgement. They are the people who will not throw it back in your face at a later time. Next, say it out loud to them. That is a step towards healing and growth. That my friends, takes courage, and is a demonstration of living with intention. Thoughts feelings and actions in alignment with our values principles and goals. I’d like to think of it as a form of servant leadership that we give as a gift to ourselves. Genuine authenticity feels good. If there is anything you would like to share about this please feel free to comment below. Thanks for visiting my blog and have a Happy Valentines Day! We hadn’t seen one another or spoken in quite a while so a year and a half ago we set up a lunch date to reconnect. When he walked into the restaurant he was noticeably thinner. But those friendly, smiling eyes were unmistakable. He was inquisitive and began by asking all about me, my life and family. Then we shifted to him. He shared that shortly after his mother and brother passed away, he fainted at work and hence began a daunting series of paperwork, lab tests, appointments and phone calls. He had been diagnosed with stage 4 appendix cancer and chose not to pursue surgery. I remained empathetic, silent, and asked what support he needed. The response was; hope, presence, love and an ear. It’s hard to conceive the unimaginable courage to make and/or not make such a complex decision. At the end of our lunch I inquired if he was absolutely certain. I don’t recall the answer, but wondered if the question would linger with him. I had an upcoming trip to South East Asia for an MBA class and shared I would pray for him at every mosque, temple and prayer wheel I encountered. I climbed the 272 steps to the highest temple at Batu Caves and offered intentions for my friend. The flower and medallions were given to me by a Hindi priest, one for Mike, the other for myself. Right before my trip, he made a decision to seek treatment options and found out about a rare treatment called HIPEC, that was available and upon my return learned he was eligible. This surgery was the beginning of a valiant journey. He was balancing tending to the needs of caring for his 85-year-old father, while figuring out how to take care of himself and the test of time was not easy. He was hungry and thirsty, but unable to eat, learning how to manage his own doctor appointments, prescriptions, feeding tubes, colostomy care and more. He didn’t want to always talk about the cancer, or the fight, or time. He was growing weary and it was teaching us the importance of being fully present and accepting. We had so many meaningful spoken and unspoken discussions those last few months. When a person is not well, why do they hesitate to ask for assistance? As the friend watching events unfold, it is a complex balancing act. We want to be respectful, while honoring their wishes. We see this person we love, who needs and wants, assistance, but is concerned about being an inconvenience. The very idea of asking for aid comes along with healthy doses of shame and fear coupled with concern about appearing too needy, weak or helpless in they eyes of others. Yet in the midst of it all, none of that matters because at the end of the day, all we have is a deep knowing of the mutual gifts that reside when we are fully present for and with one another. It is at the core of what makes community. Why is it easier to give help than ask for it? For caregivers, showing up gives us the gift of humility and teaches the valuable lesson that its okay to be imperfect. It is human, and builds community because it brings people together. That is a beautiful thing. Asking for help is a gift to the person being asked and can be for the one in need. Mike was a treasure and we learned different life lessons from one another. I miss him, but I celebrate his life by carrying his memory in my heart. We talked about it. It is what he wanted, and that is a good thing. Shame, everybody has it, no one wants to talk about it. Perhaps that is because if we name it, it can’t exist, or many of us don’t know how to engage in the discourse because we never saw the dialogue modeled in our own family systems. But the consequences of not having the conversation neglect our opportunities for healthier living and leadership. I’m not suggesting that we all pull out our chairs for full-blown kumbayah sessions in professional settings, but rather that we take some time to understand its dynamics. If a negative emotion such as shame inspires us to do something different, that means we take emotional risk, which takes courage. 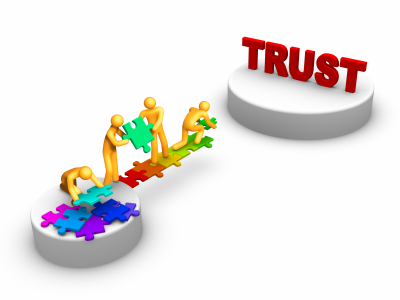 Wouldn’t it make sense that part of being authentic leaders mean we acknowledge our own fallibility and show compassion when we observe it in others? What would the effect be if we had more conversations about times we witnessed someone share stories about overcoming shame? It seems to me that it could be a tool with the power to teach some mighty potent lessons. I will never forget the knot in my stomach the first time I went to hit the publish button on a blog post that made me so transparent I almost didn’t listen to my gut. But in the midst of my own uncertainty, I chose to do it because like you, we all have stories to tell and when we give, we get. Our experiences about adversity have the power to plants seeds of courage and hope. Because I chose to hit that submission button, the person who inspired the story thanked me and shared no one had ever acknowledged her experience in that manner. She had no idea what she endured could have been thought of in such a dignified way. Now that was a GIFT. As Brené Brown demonstrates brilliantly in the TED video below, compassion is the antidote or shame. It’s a powerful message. What do you think about it? Please share your thoughts below.